I decided to do a very neutral eye today because I wanted to rock a bright blush and I didn’t want anything too dramatic that would clash with it. I decided to layer a matt eyeshadow over a shimmer eyeshadow in this look so that the shimmer was toned down alot. It isn’t translating in the pictures but in real life the shimmer peeks through the matt shadow in this really subtle but pretty way and gives this really nice highlighted look. 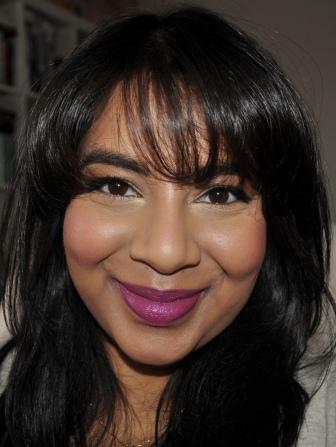 To get the look I began by using the lightest colour strip in the Bobbi Brown Shimmer Brick all over my lid. I used a fluffy brush to put the MAC Bamboo all over the lid on top of the Bobbi Brown Shimmer Brick. 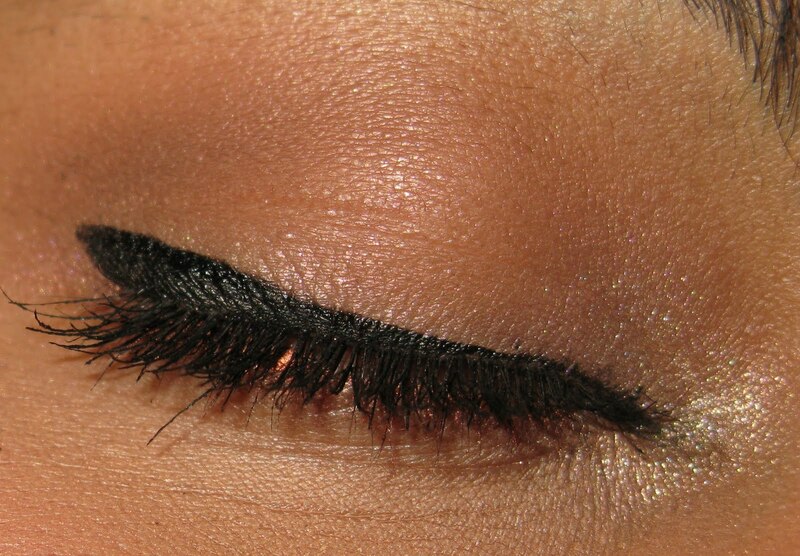 I then used a mixture of Soft Brown and Cork to subtly define the crease. The key word here is ‘subtle’ because I doubt that you can really even see the definition in the crease in the photo’s but it is there! As the eye was very neutral I decided to go a bit thicker with the line I drew with the liquid liner and then put on a coat of mascara. I finished up this look by working some of the copper coloured eyeliner into my bottom lashline and then putting some gold shadow on the inner corner of my eyes. I really liked the final look because it evens out the colour on my lid and gives a really polished look without looking overly done. 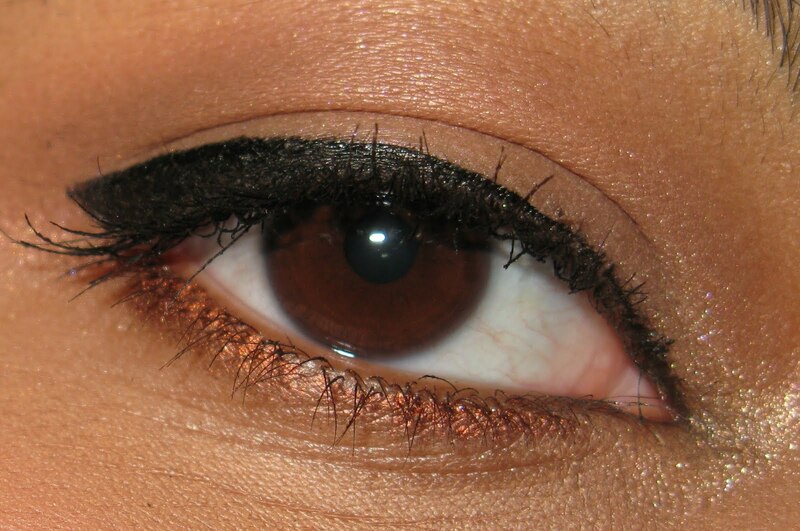 Using a thicker eyeliner also gives a more doe-eyed look and the copper just adds a little something extra to the look. This look worked really well with the really pigmented blush that I used (Becca’s Songbird blush) and gave my face a really glowy type look. Hope you like it too!